Were you hoping to pick up a OnePlus 5T in the eye-catching Lava Red down the line? Well, if you're in the US or Canada, you won't be able to anymore - at least from OnePlus directly. 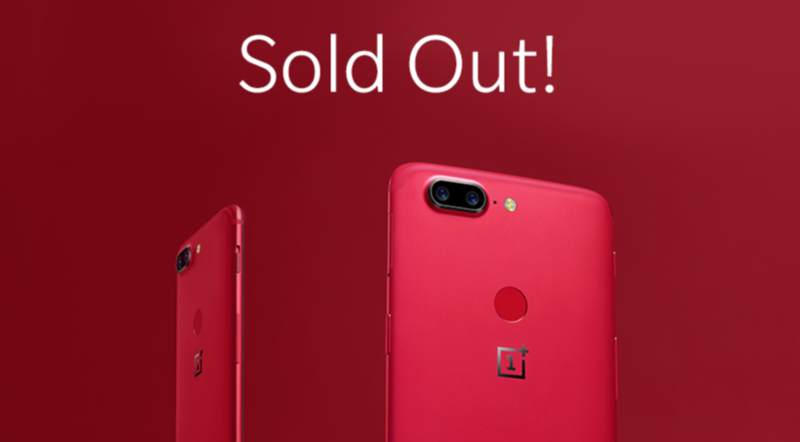 The company has announced that the red 5T has officially sold out in North America. This isn't a huge surprise, considering that the Sandstone White's stock will also never be replenished, but it's a disappointment nonetheless. The Lava Red 5T also seems to be sold out in India, but not yet in Europe, where you can still purchase it readily in countries like Germany and the UK. 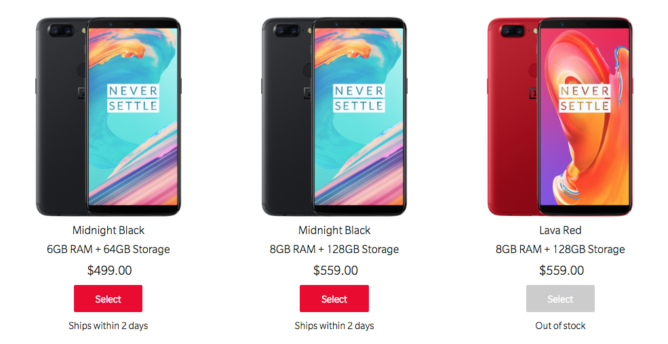 So if you've been wanting a 5T and you've gotta have it in red, you should probably start eyeing the used/resale market and hoping something in good condition pops up there for not too much money.